You know what to look for, where to find it, and how to make a safe investment at Indiana Commissioners sales. The only problem? Scaling things up! You might want to participate in several sales, but traveling all over Indiana just isn’t part of your game plan. Here’s a way to get around that. The portfolio approach is pretty simple – but it’s not for the faint of heart. Why? You’re likely to lose your investment on most of the liens you buy at Indiana Commissioners Sales with this method. But the winners will more than make up for the losers. You’re going to do the best you can to eliminate obvious losers from your list, then you’re going to set a relatively low maximum that you’re willing to bid for properties on the list – say $1,000. Better yet, participate in several sales and set your limit even lower. Once Indiana Commissioners sales begin online, buy all the liens you can for less than your limit. Don’t forget to keep some money in reserve for potential legal costs. Now that you’ve successfully won several liens, NOW do a little more in-depth research. Send someone over to the property to see if it’s indeed occupied. If not, have them take some photos for you through the windows. Using this method, half or more of the tax liens you’ve won may not have a desirable property behind them. Spend only 44 cents more on each lien – send the owner notice yourself, in hopes that they might redeem. Otherwise you will do nothing further with these liens – you don’t want to throw more good money after bad. Important: Though you’ll look at the liens you won in greater depth, you should not enter the properties or disturb the occupants at this point. However, after the redemption period ends, and a lien hasn’t redeemed, I visit the property immediately and attempt to make contact with the tenants. If I’m somehow 100% sure the property is vacant, I try to get inside to take a look (warning: this may not by strictly legal). If I don’t like what I see, I’ll probably skip the expense of even getting the deed. Here’s the upside: if you bought at least 5-10 cheap liens after screening them to the best of your ability, you’re likely to have at least one home run – if not several. 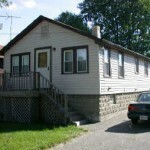 These are properties that you might have bid several thousand for if necessary, having done more in-depth research. In other words, the winners will have cost you so much less, and be worth so much more than you paid, that they easily make up for the losers. Again, these are advanced strategies that you should look into later after you get a feel for things. Return on investment for funds you invest at Indiana Commissioners sales can be breathtaking – even unbelievable. We picked up this house for $1057 - and after a few thousand in repairs it has been a money pump. –Paid $3093 for an occupied house that was already rented section 8 for $425. Collected $5950 from Section 8, then got a new tenant that pays $695 per month. –Paid $1057 for a house that needed about $3k in work and has been renting for $595 for almost 2 years. Until recently, the dirty little secret about rentals in Indiana was that the property tax bills were outrageous and made it challenging to profit even from properties that were free and clear (see this post from last year). However, a new amendment to Indiana’s constitution now sets maximum tax rates at 2% of assessed value, which is supposed to be aligned with real market value. And market values are REALLY low. Translation – taxes are now dirt cheap, even for landlords! The planets have aligned, and it’s now a great opportunity to invest in Indiana Commissioners sales using the method I outlined. Here’s why. For almost a decade, Indiana counties have been in turmoil as we switched to a market valuation model for assessing taxes. The confusion resulted in many counties skipping one or more tax sales, which allowed high taxes to accumulate on many “borderline” properties. 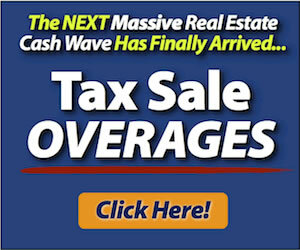 Therefore, when a tax sale was eventually held, many, many properties went unsold due to years of piled up taxes. Expect to see them on the Indiana Commissioners sales list this spring – the buildup of taxes has caused the list to swell, a good thing for us as buyers. However, we will still pay the discounted bids offered by the commissioners. Nearly every county is on the same “tax sale cycle” now also – so the commissioners sales should be a lot more predictable. As mentioned earlier, a recent Indiana constitutional amendment capped rental property taxes at 2% of value. With values extremely low at this point, tax bills are going to be tiny on these properties for the near future. If and when they do increase, it will be due to an increase in the value of the properties – a great thing for you. In my county, where taxes are notoriously high, my rentals are now down to around $1000 per year each – somewhat reasonable (though their assessed value is still several TIMES market value). In some counties I have no doubt there are $100-$200 tax bills for these properties. As more and more people lose their homes, they will need to rent. Increases in average rents have already been seen nationwide. And if you play your cards right, you might even have a renter ready to pay you when you obtain your property – the current occupant. Also, Indiana is set to gain jobs and population due to its low taxes and lack of debt. This lack of debt will enable Indiana to retain its low taxes instead of having to raise taxes like other states. You can buy a house for as little as $1000 and with a little minor repair, have a solid rental that you own free and clear. Or you can pay a few thousand for a house, and go down to the Section 8 office to have them start immediately sending rental checks to you. Now that’s cool. Everyone needs somewhere to live – and this is a great chance to “get in at the bottom”, risk very little, and earn great cash flow almost immediately. With a little luck, you’ll even see nice increases in your properties’ values and saleability as time goes by. Check out some Indiana Commissioners sales online this spring, and start building your free and clear portfolio for peanuts! 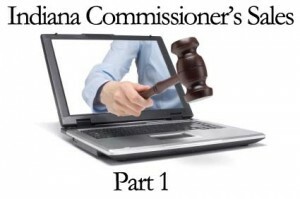 We covered the big upsides of Indiana Commissioners sales in Part 1 – and then looked at the downsides that we’ll need to manage in Indiana Commissioners Sales Part 2. Now, it’s time to get into the nitty-gritty specifics – strategies you can actually use when investing at Indiana Commissioners Sales. I’m actually going to have to split this one in half – too much good stuff to leave out. In my experience, there is one, and only one, specific type of property you should target at Indiana Commissioners sales. 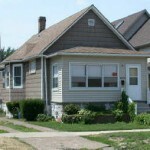 You should look for single family houses that are occupied and in fair condition or better. Occasionally you will run across a vacant house that is obviously in great shape. In this rare case, you may want to make an exception to the rule. For instance, once I bought a lien on a vacant property that was listed with a Realtor. I went online to view the interior pictures and it turned out the inside was just as nice as the outside. I confirmed this vacant house was as nice inside as it was outside, before buying. Also notice in the property description that I didn’t say “in a good neighborhood”. Good neighborhoods are obviously a bonus and you can sometimes acquire properties that have everything going for them. But if the property is occupied and in good condition, I’ve found the neighborhood is never a reason not to buy. You’ll see why later. 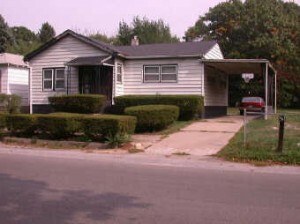 What Cities Have Properties Like This That You Can Find at Indiana Commissioners Sales? Many cities, and indeed entire counties, will not have properties in the Indiana Commissioners sale that meet the above criteria. You’ll simply have to invest in another county if this is the case. In case you haven’t heard, Indiana also is one of the few financially healthy states in the country right now. I believe this will attract a lot more business and jobs to the state over the next few years because other states will have to continually raise taxes to survive. Indiana just had a $1.7 billion dollar SURPLUS for the year. Appreciation really is not an important part of our strategy here. But it sure is nice to have property that can really only go up in value since it’s near bottom now – along with conditions that would allow these towns to make a comeback. You’ll also find occupied properties in totally nasty condition. I used to think that condition didn’t matter if the property was occupied, as the occupant would surely pay me something to stay. I was wrong. I found that most of these occupants are looking for an excuse to get out of their filthy conditions, and asking them for even $100-$200 monthly rent was enough to motivate them to take action (move). Soon you’re stuck with the kind of property you were trying to avoid owning in the first place. As you look at properties, it is tempting to buy liens on property in bad condition because the minimum bid is so low – as little as $150 to buy the lien. You may figure that you could sell the property for at least a couple thousand as long as it is still standing. With the real estate market bad right now, there is almost no demand for this kind of property in an urban area. This is because even properties in rentable condition are worth nearly nothing on the resale market. Therefore it’s impossible to come out ahead by fixing a decrepit property. Eventually, you’d likely succeed in reselling the property for a few thousand to someone in the neighborhood with some lofty dreams. However, that sale price may not even cover your legal fees and closing costs. 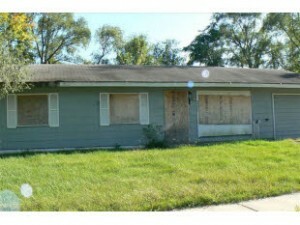 Junk properties in these areas are really just a waste of time and very stressful to own and try to sell. Your goal should be to acquire properties that are already occupied with a renter – or close to being rentable – and to step in to collect the rent as soon as you get your deed. If you don’t want to be a landlord, you could also resell the properties for a small profit, but compared with the rent you can collect, I think it’s foolish to sell rented properties you get from Indiana Commissioners sales. Now you know exactly what you’re looking for and where to find it in Indiana. In the second part of Indiana commissioners sales Part 3, we’ll go over additional critical strategies to make your Indiana Commissioners sales successful. In Part One of this series on Indiana Commissioners sales, we went over the benefits of participating. These unique features take away most of the most negative aspects of the regular sale. The shorter redemption time and lack of competition are the two biggest advantages. 1. Due Diligence As with any tax lien investment, it remains important that you perform due diligence on the liens offered. Mainly, this consists of assessing whether the underlying property is profitable, and making sure that the lien offered is against the same property you believe it is. For example, a lien on the list may show an address of 3388 Elm St, and you may notice a nice house at 3388 Elm St. However, when you look at an aerial map or GIS of the property, you may discover that the actual parcel being offered is a worthless side lot or garage next to the property. 2. Post-Redemption Period Wait Times – Once the redemption period ends, you know you’ll obtain the underlying property if you have not been paid off. However, some counties “move at their own speed” when it comes to actually issuing your deed. This can add months and months to the overall wait time before you get the property, easily exceeding the redemption period itself in some cases. It’s probably a good idea to look at past Indiana Commissioners sales in each county, and noting the date of sale and date most of the deeds were issued. This will give you an idea of the wait time you might expect. 3. Unknown Interior Condition of Properties – As with all lien sales, the owner of the property is not going to welcome you inside to assess the property condition prior to the sale. You’ll have to do your best to assess overall condition from the outside. Here’s what I’ve noticed – if a property is well-kept outside, it’s somewhat more likely (though far from guaranteed) to be OK on the inside. However, if the property is very dumpy on the outside, it’s almost certainly dumpy (or worse) on the inside. We have ways of dealing with this, as you’ll see in Part 3. 4. Unmarketable Title – When you get a tax deed in Indiana, you cannot give a buyer title insurance on the property until you perform a “quiet title action”. 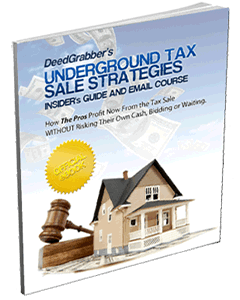 This is a legal process that basically confirms the tax sale’s validity and costs $500 – $1000 and takes several months. Most buyers will not buy without title insurance and therefore will not buy without quiet title. 1. Lower Quality Properties – This is the main drawback. Most of the very best properties are sold in the first treasurer’s sale. The houses that are left at Indiana Commissioners sales are often from the “rougher side of town”. However, they can make great rentals, as you’ll see in Part 3. There will be many, many worthless properties on the Indiana Commissioners sale list that you wouldn’t even want for free. 2. Due Diligence – You will have to do a lot more due diligence per suitable property you identify – because you’ll be sorting through a lot of bad ones. 3. Legal Expenses – As with all tax lien purchases, you must get a title report and quickly give the owner and lienholders notice that you’ve acquired a tax lien against the property. Here you have to do it lightning quick, as soon as you buy the lien. The notice must be received well before the redemption deadline, and with only 120 days, that pushes the deadline for notice to the beginning. Also, because you’ll be often buying these liens for hundreds of dollars, or only a couple thousand, your legal noticing expenses can EXCEED your investment in the liens! Be sure not to use your entire bankroll to buy the liens because you’ll often need just as much to pay your attorney to do the noticing. Be sure to figure in $800 or so in reserve cash for the legal fees, and add that amount to the amount of the lien when determining whether to buy it or not. You’ll be experiencing wait times after the redemption period of your liens that are largely beyond your control, and you’ll still have to perform due diligence on the entire list. You’ll also be ending up with mostly lower-end properties (don’t let this scare you, be sure to check out Parts 3 and 4). And, you need to budget a legal fee budget that may equal your lien purchasing budget. These issues are not insurmountable, however. In Indiana Commissioners Sales Part 3 we’ll talk about proven strategies to make profitable investments at Indiana Commissioners sales. Indiana Commissioners Sales will be kicking off in earnest right after the new year. What’s a commissioner’s sale? It’s a tax lien sale with special rules, where liens that weren’t purchased at the last sale are offered. More details here and in future installments. I’ve decided to do a 4-part series to give you everything you need to know to profit at Indiana Commissioners sales. Even if you don’t plan to come to Indiana to invest, pay attention because a lot of the principles here apply to most “second chance leftover” sales. First, let’s talk about several reasons why Indiana Commissioners sales present a rare opportunity to actually buy at a public auction and still come out ahead if your goal is to acquire properties. I stay away from most tax lien sales because there is bidding competition and also a long wait period before I can acquire any properties. Plus, by the time the waiting period is up, my experience is that all worthwhile properties will have redeemed. Only the “needle in the haystack” liens remain unredeemed and lead to a windfall property acquisition. 1. Reduced Minimum Bid – Indiana Commissioners sales are held to liquidate liens that did not sell at the regular tax lien sale. Presumably, these properties were not worth even the amount of taxes owed in the eyes of investors at the original sale. Or, without seeing the property condition, the investors were not willing to take a chance that they would end up owning the property, even though it appeared to be a good property from the outside. Since the lien did not sell at the original “treasurer’s sale” for even the minimum bid, the commissioners slash the minimum bid on the liens offered. This is simply to get the lien sold and to try to get the properties back on the tax rolls. Sometimes the new, lower minimum bid is as little as 10% of the original amount or $25. Now, properties that were unprofitable before, become profitable. Or properties that weren’t taking a risk on, worth taking the risk! Plus you can buy more liens with the same amount of money, increasing your chances of getting some properties. 2. Owner Must Pay Full Redemption – Since the property didn’t sell at the first sale, even MORE taxes have likely piled up since then. While you as a tax lien investor are offered an attractive, discounted minimum bid to get involved, the owner must pay the FULL amount owed plus penalties to redeem their property. With many installments now late, and fees piling up, it can be very difficult for them to redeem. The result: Indiana Commissioners sales have a MUCH LOWER redemption rate than regular tax sales. Meaning, you have a much better chance of getting the underlying property for just the amount you spent on the lien. 3. Little or No Institutional Competition – Many large companies roll into town and bid on liens at the regular “treasurer’s sale” – and this pushes prices of Indiana tax liens to the limit of profitability. These buyers largely do not attend Indiana Commissioner’s sales. This is because the institutional buyers usually DO NOT WANT properties and they know that a large percentage of liens “become” deeds when purchased at the Indiana Commissioner’s sale. These buyers want to borrow money at 1-2%, earn 10% interest when their tax liens pay off, and move on. And they want to invest millions in one shot, which they can’t do at Indiana Commissioner’s sales because the value of the liens is much, much smaller than those offered at the regular treasurer’s sale. 4. Short Redemption Period – Perhaps best of all, Indiana Commissioners sale properties only have a 120 day redemption period. This is obviously a much more reasonable time to wait than the 1 year given to the owner in the regular sale. Now you know the outcome of your investment sooner, and get your hands on any properties you acquire in a shorter time. Plus there is less chance that the property condition will significantly worsen during the redemption period, or that the real estate market will change drastically. These can be major problems with long-term lien investments of 1 year or more. For those liens you buy that redeem nevertheless, you still get a full 10% return on the minimum bid over only 4 months if the lien does redeem. If I’m not going to get a property, at least 30% APR return helps ease the dissapointment. 5. Online Auctions – One more minor benefit is that many of these auctions are held online over a period of a couple weeks. So, you don’t have to travel to the auction but you still really need to come to the area to do due diligence on the liens you’re considering. So there are the benefits of Indiana Commissioners sales, and why I occasionally break my “no tax lien auctions” rule and invest in them. Nothing in this world is without downsides and traps, however – and we’ll talk about the dirty side of Indiana Commissioners sales in Part 2 of this series.